This plant is known in north-eastern India as Maha-tita, literally "king of bitters". Kalmegh, is useful in hyperdipsia, burning sensation, wounds, ulcers, chronic fever, malarial and intermittent fevers, inflammations, cough, bronchitis, skin diseases, leprosy, purities, intestinal worms, dyspepsia, flatulence, colic, diarrhea, dysentery, hemorrhoids and vitiated conditions of pita. 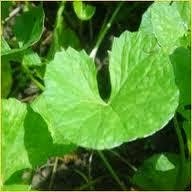 It is used to overcome sannipata type of fever, difficulty in breathing, thirst, and intestinal worms. It is also useful in treating acidity and liver complaints. In children, decoction of Kiriyath acts as a preventive measure to many illness. Directions: Make a paste of it. Do not put extra water. It should not be watery. 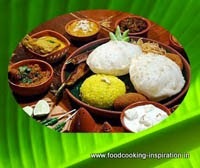 To prepare bori, take a clean cheese cloth and cover over an oven-tray or a big bowl. Now take some paste and make soft drops with your fingers. Arrange all drops one by one on the cloth, depositing them to be dried, leave for one to two hot days for sun-drying. It can be collected with a little pat to the cloth after complete dry. Malay: Hempedu Bumi Bahasa Indonesia: Sambiloto. Kalmegh (Andrographis paniculata Wall. Acanthaceae family) is the major constituent of the ayurvedic drug 'switradilepa'. It grows abundantly in south eastern Asian countries viz India, Sri Lanka, Pakistan, Java, Malaysia, and Indonesia as well as it is cultivated extensively in India, China, Thailand, Mauritius, East and West Indies during monsoon season. 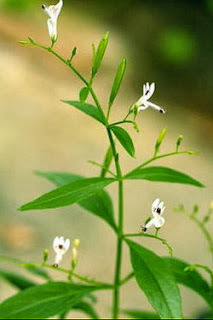 The herbal preparation increases hemoglobin content, serum glucose and protein in treatment group. The extracts of kalmegh had antiviral activity and is most effective in treating vitiligo. All current studies could be observed in WHO Monographs on Selected Medicinal Plants - Volume 2. Diabetic patients are recommended to take decoction of Kiriyath as a good remedy. The important preparations using the drug in ayurveda are Tiktakagheta, Gorocandi gulika, Candanasava, Panchatiktam kasaya, etc. Leaves contain two bitter substances lactone “andrographolid” and “kalmeghin”. The ash contains sodium chloride and potassium salts. Plant is very rich in chlorophyte. According to the Mayo Clinic Book of Alternative Medicine, "A specific product (andrographis combined with Eleutherococcus senticosus) may shorten the duration and lesson the symptoms of common cold." It also says, "Pregnant women shouldn't use andrographis because it could terminate pregnancy." This bitter shrub is well-known in Bengal under the name of kάlmeg and is the principal ingredient of a domestic medicine for infants called A'lui, which referred to is made of the expressed juice of the leaves with the addition of mixing powdered cumin and large cardamom in the juice of this plant and administered for the treatment of malaria and is given to infants for the relief of griping, irregular stools and loss of appetite.